It is true that on this list and among the winners, there are Presidents and Vice Presidents of the regional groups of the Writers Union. It’s actually quite normal because if an author is recognized in China, he quickly becomes Vice President of the regional group. But in the future this will change and there are more and more young writers who do not belong to the Union. You mention the criticism of Han Han who said that the Union is useless. It is true that the Union has not much use for literature. It is useful for our generation, not for the young. When we left university, it was the State which was assigning positions, and now young people find themselves their work and no longer have the same relationship with society. 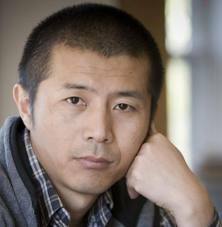 Among the present Chinese writers, my favorite is Mo Yan. 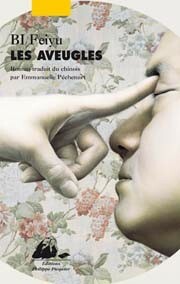 For foreign literature, I feel that the quality drops but I enjoy Naipaul, Le Clezio, Amos Oz, Vargas Llosa and Adonis. I indeed met with Gao Xingjian (Nobel Prize 2000), we were in the same hotel in Edinburgh. It has been said for a long time that he did not really want to have relationships with Chinese writers, I could experience it myself and we just exchanged a few greetings. Yes, I did a radio program in London with Chan Koonchung (1); I did not know he was a novelist, to me he was a director, also author of articles and essays. As I was to discuss with him, I read his novel; as soon as you read it, you know it’s a Taiwanese novel, we do not speak the same Chinese! We must say first that it is very difficult for a Chinese writer to get published in the United States, England or France, while Western writers have many possibilities to be published in China. I was very lucky to be published as I was in France and all my publications abroad have begun by France. In England and America, they buy the books that have had success in France. My agent, until 2008, Laura Susijn, helped me a lot, but since then I have worked with Nurnberg Associates. With my translators in France, relations are good and we know each other well, whether it is Claude Payen, Isabelle Rabut or Emmanuelle Péchenart. In the English speaking world, I have an excellent relationship with Howard Goldblatt and he is over 70 years old and I call him “big brother”; he is very interesting, lively and a university professor. Yes I know he has the reputation to use scisors when he finds that some developments are too long but I have had no problem with him, he’s very conscientious and takes very seriously his role as a translator. I understand that you may be surprised that the three Chinese novelists, Jiang Rong, Su Tong and myself, who have won the Man Asia prize, have all been translated by Howard Goldblatt, but I was the most surprised because I thought that I did not have a chance after two Chinese winners in previous years. Many writers live in Nanjing: Su Tong, Ye Zhaoyan, Han Dong, Huang Beija (2), as for me, before Nanjin, I lived from 1958 to 1989 in a village in Jiangxi. The countryside is very important for me, but my father was an intellectual who suffered during the anti rightist movement and my mother was a teacher. I do not come from a family of peasants like Mo Yan, it makes a big difference. In Nanjing, I do a lot of sport, I started on school playgrounds because I have always lived in schools during my youth. Before 1999, I wrote always at night; after being 35 I have worked during the day which is better for your health! When I write a novel, I work every day with cigarettes and without music. For over ten years, I drank coffee with western food, cigars and whisky. Now, I become more and more Chinese in my tastes, I drink tea but no maotai which is far too strong..!. (1) Chan Koonchung was born in Shanghai and lives in Hong Kong and Beijing. His novel “The Fat Years” published in Hong Kong and Taiwan in 2009 but banned in China has attracted considerable interest. The English translation by Michael S. Duke (with a foreword by Julia Lovell) was published this summer by Doubleday, the French version will be released soon by Grasset. (2) All except Han Dong have had several of their works translated into French; a book by Han Dong, “Banished” has been translated by Nicky Harman and published by University of Hawaii Press.